Keeps pretty much each of its many promises. 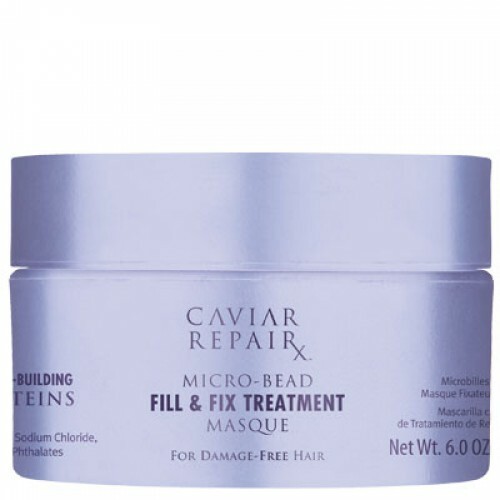 This mask promises A LOT: eliminating frizz, making your hair easier to detangle, making it shiny, silky and giving it hydration. Verdict: it is a very luxurious hair mask, from its rich texture (like a fat nice body lotion) to its smell of a saloon. I have felt a differnce using it, since it makes my hair very soft, silk indeed and gives it great volume. Though I did not feel my frizz being eliminated, I still like this mask a lot. I also like that you need very little per use. The price is crazy, from where I live you could actually get a one-way ticket to London for this price. Seriously, I can pinpoint exactly the day I tried this masque for the first time. It was in a freezing Boston this winter. The whole city was shut down due to what felt like the zillionth storm of that month, and of course when your can barely go outside due to the weather your body says no thanks, and shuts down a bit too. Or at least everything that can get dry does (I think even my humour turned dry ha, sorry bad joke). I had brought some samples from Kiehls on my travels in order to save space in my luggage, and this masque was one of them. Trying it the first time I was completely blown away: my hair instantly gained a nicer texture: it became smoother, easier to de-tangle and in general to deal with (my hair is like a toddler who won’t obey me unless I feed it with oils, serums, and haircuts every third month). The price for this masque was pretty steep, but I haven’t regretted purchasing it, at all. First and foremost I bought it in february, and just finished the package, and I have really used a lot of it (though only every fifth day). Secondary I have cheated using others masques in between, but I just could see the difference every time I returned back to this one. I would never have bought it at home in Europe, cause its simply too pricy, but its many percents cheaper (about 40% I think..) in the US, so I indulged. Thirdly, I have been told that you can let the masque stay on for several hours to see a good result, which I have tried but frankly I think it works just as good when left on for 10 minutes which is the final plus of this review. This is not a blog where I sham my readers into consumption, in fact it is exactly the opposite of this sites philosophy but I can advise you, my dear followers to…get a sample of this one!